I knew when I saw your bikes at the St. John Ferry (Sep. 12) you riding big adventures. Reading about where you both have trekked has given us food for thought. Nova Scotia, Cape Breton (CabotTrail) and some of PEI (2340km) is our longest trip to date. Othet trips include Gaspe, Quebec (2x), ride around Lake Erie, Quebec, and 2 rides around Ontario. Being from Canada we are thinking a ride across our country including some of the US (may skip norther Ontario). My partner just retired so we have all the time to cycle, backpack (Ontario, Scotland, Ireland and England) and canoe trips too. 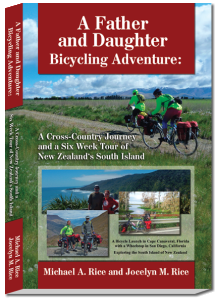 We have done many organized cycling trips over the years but now it will be the open road for us. Meeting people on our trips has been one of the most enjoyable part of our treks. Keep on trekking and be safe. Hey guys, it seems like we’ve been following you across Canada for some time (I keep spotting your business card along the way). We’re just at Mike and Danielle’s place in Deep River and they told us you were here 3 weeks ago. 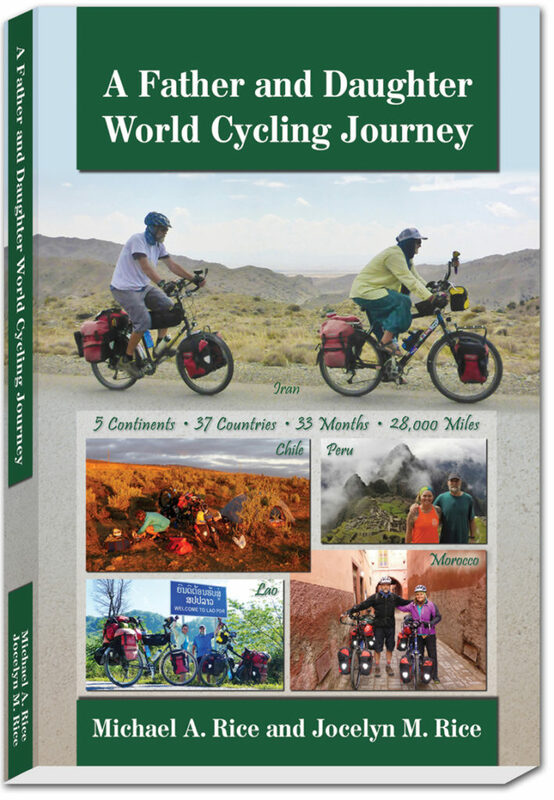 We’re planning on heading south after Canada and cycling through Mexico and Latin America and they told us you had already done that so we thought we would check out your blog. Funny enough, it turns out we were also cycling through Iran at the same time in Aug 2014 (think we were in 2nd Aug to 9th Sept). We cycled from France to China, so I guess we took the same path through Turkey and Iran. Small world! Anyway, safe travels! Hi Julian, Thanks for writing. We really thought hard about km first but in the end decided on the old miles. Call me old fashioned I guess because I am older. We tried to get a TM visa but it was such a pain and expensive, besides our UZ visa is expired because we went through Iran. I checked with Stantours and David said they can’t do UZ LOIs anymore. So we decided to fly as it was lots cheaper. We don’t know if we will do the Pamirs since we want to be home in Florida early December. Our trip will no longer be continuous due to family obligations. Jocelyn needs to get back into school for the winter semester so we will take a break for 5 months before continuing to South America. Our goal is to get a China visa in Bishkek, spend a month, then move to SE Asia. Taj has no problem with flying in. However the land borders are closed until mid September. Hope to see you soon. We will be hanging out in Dushanbe until mid-September because we mailed our cold weather gear to a contact who is riding the Pamirs now. We also herd that Dushanbe is the only place one can get a GBAO permit. Take care Julian. You guys are so American!! I thought that you would want to join me in starting a metric system revolution, I think the rest of the world would deeply thank us if we all stopped using miles! Your travels in Iran sounded exciting, you are now bypassing Turkmenistan for Tajikistan? Were you guys able to get the GBAO permit for the Pamir’s? I heard all of Tajikistan will be closed for conferences but it seems that you guys have developed some clout were you able to get around this? Hope all is well!